It is time for the new challenge over at A Blog Named Hero. It is called Dust `Em Off and it is about giving some love to the stamps that are neglected. I decided to make a fabric gift bag for cards and I stamped it with beautiful Sweet Threads flowers that I haven`t inked for quite some time. Below is a little photo tutorial with some tips on how to make a fabric gift bag for card sets. Čas je za nov izziv pri A Blog Named Hero in pripravila sem darilno vrečko za voščilnice iz blaga, ki sem ga potiskala z rožami. Spodaj je nakaj napotkov za izdelavo vrečke. Stamp flowers on the front panel with different shades of ink using the masking techique. Check Stephanie`s great tips here. S pomočjo maskiranja na prednjo stran natisnite rožice v različnih barvah. When you are satisfied with the result, turn both panels so the good sides will be facing togther (for the stitching). I actually had one piece here, but the procedure is just the same. Ko ste zadovoljni z vzorcem, obrnite oba kosa tako, da se bosta lepi strani dotikali. Stitching tips: first stitch the upper border then stitch the other three sides. Najprej zašijte gornja robova, nato pa še ostale tri stranice. Turn the bag, so the good side will be visible and finish it with some ribbons and pearls. I am not very good at stitching, so I use my hot glue gun to attach the ribbon and bows. You can check the finished bag on A Blog Named Hero. Nato vrečko skončamo s pomočjo trakov in perlic. Ker nisem prav spretna pri šivanju, jaz trakove in mašnice zalepim kar z lepilno pištolo. 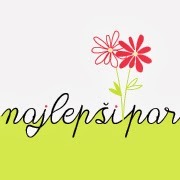 Vabim vas, da si končni izdelek ogledate na A Blog Named Hero in seveda sodelujete pri izzivu. 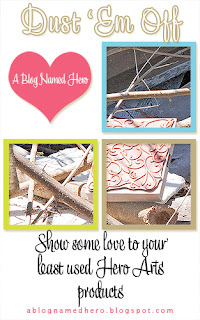 Check all the inspiration from the fabulous DT and I hope you will give some love to the stamps that haven`t been inked for a long time and play along with us. 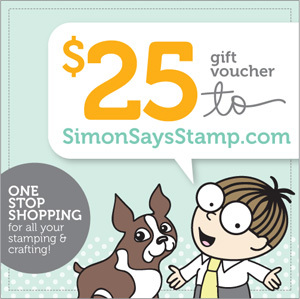 One lucky winner will recieve a 25$ gift certificate from Simon Says Stamp! Holy Smokes I can't believe you made your own bag!! Your talent never ceases to amaze me Tina :) Gorgeous project! beautiful bag. love the stamping and masking. This is GORGEOUS, Tina! WOW! Tina your baggie is beautiful, great idea! Super ideja in vrečkica je čudovito izpadla. Ojoj, tole je pa noro dobro in čudovito. Super ideja. Super je tale vrečka ni kaj! čudovita vrečka!! !si pa res iznajdljiva!! Wow this is such a beautiful bag Tina! What a great idea! What a great project, Tina! That is a gorgeous bag and I love it! I think I have to try something like that and use my stamps for something else, and not just paper!